If your home is not attached to a municipal sewer plant, then you likely have a septic system to collect your wastewater, then treat and dispose of it. This type of system requires a septic tank along with a soil absorption system that are installed underground. 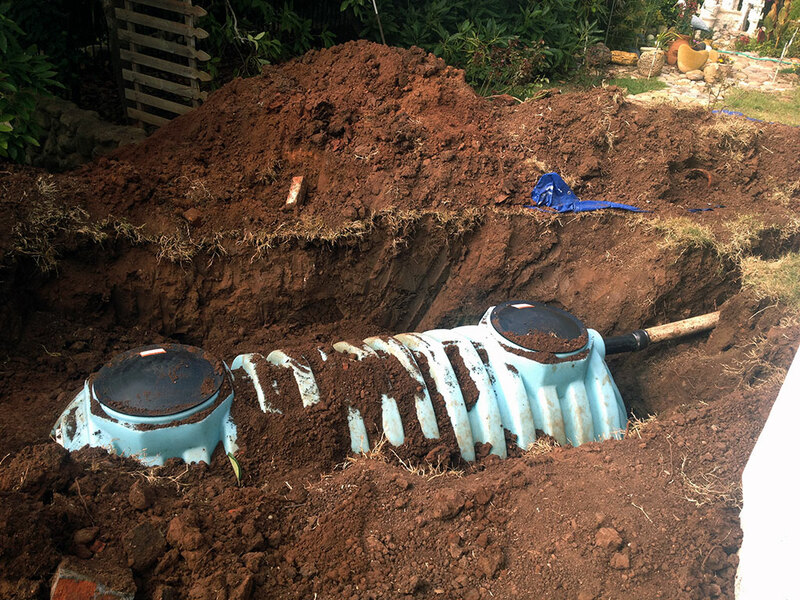 It can be tough for homeowners to predict what the cost to install a septic tank will be, they just know it’s something that they have to do. We can take care of everything for you from START to FINISH. Concrete tanks are the most common type of septic tank. The cost to install a septic tank made out of concrete is in the average price spectrum. These tanks are susceptible to cracking or separation, but are usually durable for a couple of decades. It’s important to get these manually inspected regularly to ensure that cracks or runoff isn’t occurring so that it can last as long as it should. Steel septic tanks are the least durable and least popular tanks. They have covers that can corrode, which can lead to an unsuspecting person falling through the cover. The covers can be replaced separately, however, so that is something to consider. If you move into a home with an older steel tank, make sure to ask a professional to inspect the entire tank system. Fiberglass and plastic tanks are less vulnerable to the rusting and cracking of the other materials. The lower weight makes it more susceptible to structural damage, however, and it can shift in the soil. We are more than happy to give advice on which solution is most suitable for your needs. Our advice is free! You can rely on us for fast, expert service. We are fully insured. Homeowners and businesses in Connecticut rely on Medina Sewer & Drain to quickly and affordably take care of any clog. There is no clog to too big or too small. Call us 24 hours a day, 7 days a week, 365 days a year at 203-909-1099 Call us at 1-203-909-1099 and let us fix your plumbing problems today! Copyright 2016 All Right Reserved. MEDINA SEWER & DRAIN CLEANING SERVICES.